Outdoor spaces become extensions of the indoors and create intimate places where residents can gather. They're also a great place to differentiate a property from the rest. The great outdoors has never been more popular. Today’s multifamily residents want cool outdoor spaces—think of a nightclub on the top of a high-rise hotel overlooking the city. These outdoor areas become extensions of the indoors, while taking advantage of beautiful views. They also create intimate places where residents can gather, both formally and informally. In warmer climates, the exteriors are extensions of the interiors, and it makes great sense to utilize them as fully functional areas. With the right attention paid to these spaces, multifamily owners/investors can differentiate their communities from others and fetch higher rents and prices. Today’s outdoor trends for both apartments and condos are following the hospitality industry. Hip hotels have been a good indication, something we’ll call “the nightclub” phenomenon, inspired by brands like the Roosevelt, Standard and W hotels. There are actually two big trends to make note of in the multifamily industry. The resort look is expressed through spacious grounds. Typically, lots of landscaping separates zones comprised of cabanas, outdoor eating areas, fireplaces, fire pits, relaxed lounge areas, and pool bars plus comfortable chaises by the pool or in the pool. Each zone tends to be separated from each of the other activities in order to accommodate large usage that goes with these activities. People are drawn to outdoor designs that include water (in pools or fountains), fire (in fire pits and fireplaces), and shelter from the sun and plenty of plants. The nightclub look, on the other hand, is in a much more condensed area with less landscaping and harder surfaces. These spaces tend to be on roof decks with spectacular views, or on podium decks. Since these areas are primarily made up of hard surfaces and the landscaping is kept at a minimum, activities are not segregated. It’s usually one large event area. Pools are not a major component and may be minimal in size or not at all. These outdoor spaces are all about interaction, with lounge areas set up for conversation. In addition, there are televisions, heaters, fireplaces, fire pits, barbecues and bars. Whether you’re trying to create a resort or a nightclub, these spaces have become important marketing tools. At Avalon in Anaheim, Calif., the outdoor common areas are utilized all the time. Some events are put on by the management team and others are rented private affairs. Residents have to reserve the area months in advance because of its popularity. The project is so successful that apartments are being leased to new residents before the previous residents have even moved out. The properties that offer these types of amenities have noted a measurable effect on leasing units due to the market distinction they enjoy. In the urban settings, where ground is at a premium, rooftops are an ideal location to create amenity areas that might not be available otherwise. In addition, the rooftop decks provide views that many residents may not have. Lastly, this market is dominated by Gen Y residents who demand both interaction and experiences. “Our prospective tenants and existing residents just love the outdoor areas here. It’s a critical component of our sale. They don’t want to feel boxed in, and they love all of the courtyards, pools, cabanas and fireplace lounge areas,” says Stacy Brown, business manager for Main Street Village, a Met Life apartment community located in Irvine, Calif. Outdoor spaces require the same care and detailed design as their indoor counterparts, so what are the latest trends in styles, colors, materials and social factors? For the Gen Y market segment, the color direction is definitely dynamic—bright, saturated colors along with everything environmentally conscious. Natural elements playfully interacting with cool contemporary elements is the new direction. A comfortable and relaxed atmosphere is what is important to this resident—a place to gather and kick back with friends. Provide outdoor spaces that include areas for dining and socializing, as well as more private space for sitting and reading a book or relaxing on a lounge chair. Kitchens, bars and barbecue areas are an important component of these outdoor living spaces. Key objectives for outdoor kitchens are functionality and relaxation. Just as interior kitchens are used for cooking, congregating and entertaining family and friends, outdoor kitchens should also serve multiple purposes. When designing an outdoor kitchen, always consider the flow of the space, especially if it includes a pool. Multifunctional outdoor spaces can be used to entertain all types of residents, so consider your options. There are no limits to the appliances and electronics that you can use outdoors. Many are engineered to withstand climate changes. Outdoor televisions add a dynamic element that creates an opportunity for special sporting events, TV watch parties, or just another place to congregate. The aesthetics of an outdoor room are equally as important as its functionality. Adding personality to outdoor spaces creates a warm and inviting atmosphere. From layout to size, every little detail should be taken into consideration. For instance, unique lighting fixtures or an outdoor area rug can make the outdoor living space more unique. Outdoor rooms can be created with ease by utilizing the latest designs in outdoor furniture. Trellises can mimic a wall, a covered pavilion has the feeling of a ceiling, and tables and chairs provide beauty as well as function. The challenge in creating all of this is that it costs more than just providing a few lounge chairs. Specialty outdoor furniture can be expensive, and providing all the amenities described above becomes costly. However, creating an environment that captures new residents and keeps existing ones is well worth the expense. There are many companies that provide outdoor fabrics that resist fading and stains and add gorgeous color and plush comfort to outdoor spaces. In order to keep costs down when developing new projects, it’s better to design these spaces early in order to provide the necessary infrastructure requirements such as gas, water, electricity, drainage, cable, etc. But the challenges are well worth the hassles. Especially in warmer climates, lush, relaxing, resort- or nightclub-like exteriors furnished with high-end all-weather furniture, flat-screen TVs, fashionable accessories, pro-level outdoor kitchens and beautiful lighting, provide year-round use and income. As we discussed, the hospitality industry has been creating these types of outdoor spaces for years, particularly in the boutique hotel market that is dominated by the Gen Y consumer. In hospitality, it’s all about experiences. 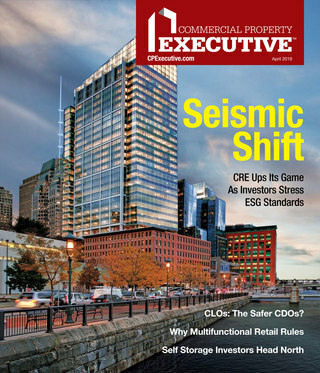 The multifamily market is no different. Many rental and condo properties have found ways to convert spaces to create these unique environments, and new properties are trending towards this as well. Those that don’t will be left behind. Victoria Currens is a principal with Style Interior Design, a full-service hospitality/commercial interior design firm that works with some of the largest multifamily and master-planned community developers in the nation. The award-winning company has created innovative design solutions for a wide range of projects including clubhouses, multifamily leasing centers, resorts, conference centers, spas, and information centers for master-planned communities. 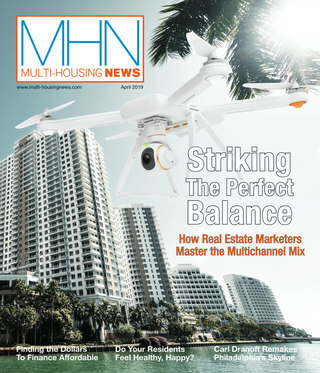 To comment, e-mail Diana Mosher at dmosher@multi-housingnews.com.